This inclusive forum is a place to share community news and announcements, discuss local happenings, and build community. It is a welcoming bridge among Native and non-Native American community members. The updates come conveniently to your email, are on this website, or you can lightly follow on Facebook. Using real names with civility is required. 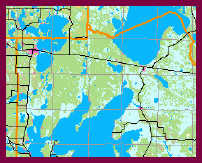 Everyone with an interest in seeing the communities of the Cass Lake Leech Lake area thrive is welcome to be a member. The goal of this forum is to provide a neutral, non-threatening place to voice opinions and share our collective wisdom about the many issues faced by our interconnected communities. Amanda Burnette is the volunteer Forum Manager.